My adventures in caffeine never cease! Recently, I came accross this lovely website about all things Italian called Life in Italy. Naturally, a post about Italian coffee caught my eye, and here you get a brief history of the moka as created by Bialetti. I love these little machines, I’ve had a few over the years, my fave being a mini moka for two, with a lime green handle and top. But a careless flatmate left the gass on too high and melted the handle. Still, another excuse to browse for a new moka… My most recent is from Ikea (no shame in that) and I’ve another one that I got as a gift, which reminds me, where did I put it? Ah, the perils of moving house! Life never stops, but sometimes my writing on the blog does. Pitty, I love writing about food here, it always makes me smile. The interaction alone is fun between bloggers, and I must go read some more of their lovely posts… And today, I start writing some posts in Italian. Let me know how I’m doing in the comments please. After a week of stomach tension and anxiety, hard work and emotional support, of seeing extended family and a swift goodbye to my partner’s Grandmother, I need some proper coffee. I can always rely on my moka and some Italian coffee as company on this long/short journey. It’s August Bank Holiday weekend in Ireland so enjoy the long weekend if you can. Happy reading, happy writing! La vita continua come sempre, anche se smetto di scrivere sul mio blog. Che peccato, mi piace scrivere così tanto, mi fa sorridere ogni volta. I dialoghi tra i blogger sono divertenti. Cavolo, devo a leggere i loro blog bellissimi… E oggi, comincio a scrivere dei post in Italiano. Per favore, fatemi sapere se ho fatto dei errori nei commenti. Dopo una settimana con la mal di pancia, l’ansia, lavoro duro, vedere la famiglia del mio partner con tanti emozioni, e l’ultimo saluto alla nonna del mio partner, avevo bisogno di un buon caffè. 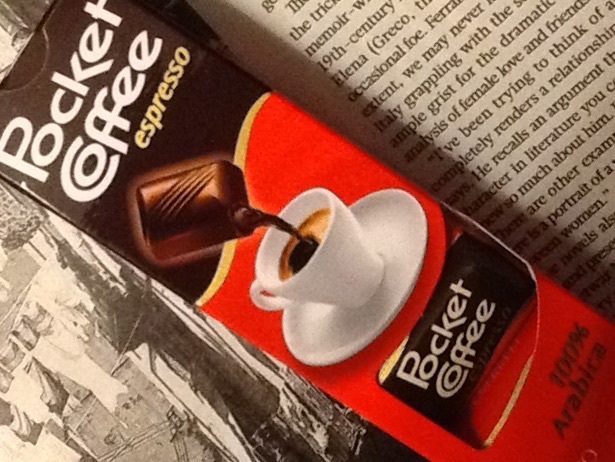 Conto sul caffè italiano e sulla moka per aiutarmi sul viaggio lungo/breve della vita. E una feria in Irlanda questo weekend. Se ci siete, divertitevi. Ciao ragazze e ragazzi! Had a good Easter, hope you did too, if you were celebrating it. 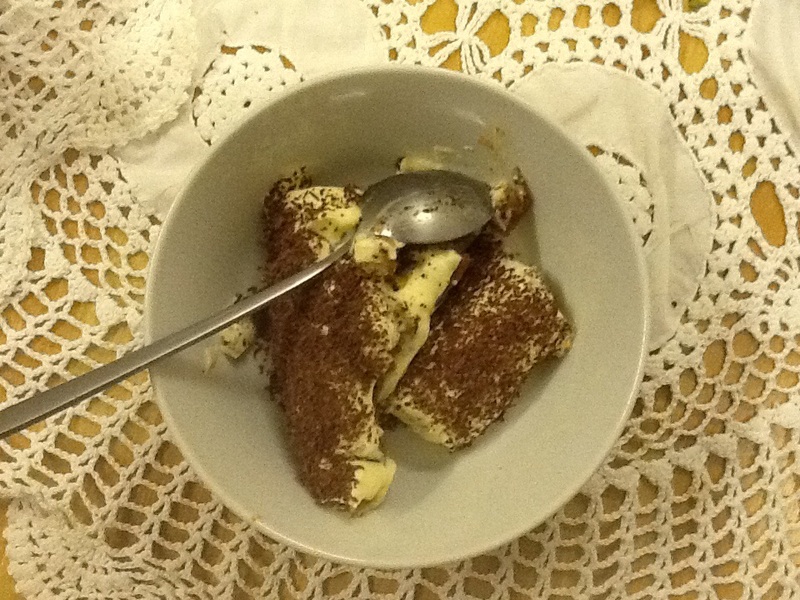 Just before Easter, I made another version of tiramisù. 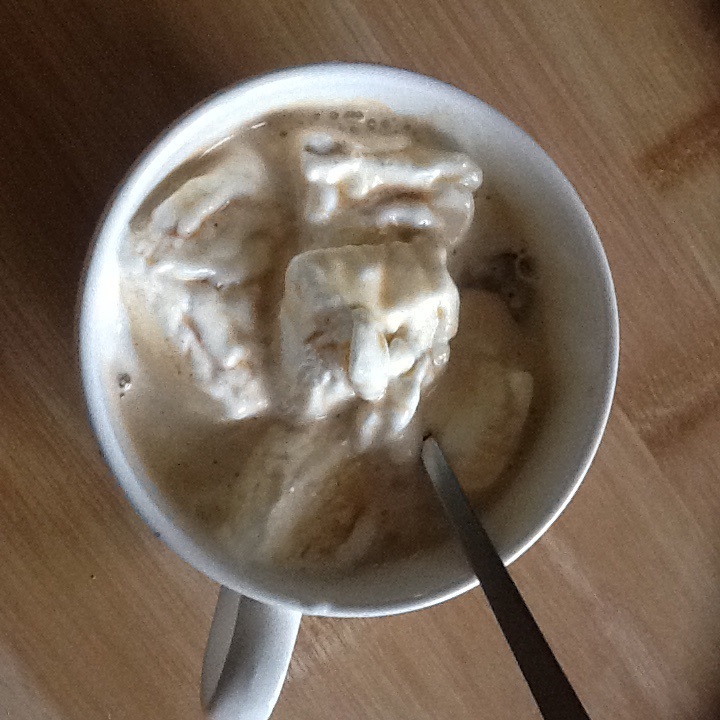 There were a few odds and ends lurking in the fridge and cupboard so I put them to good use. Nothing like a dessert to make things better. In the background, an article from the Sunday Times Magazine on Elena Ferrante’s Neapolitan Novels, on my ever-increasing list of books to read. Have you read them? 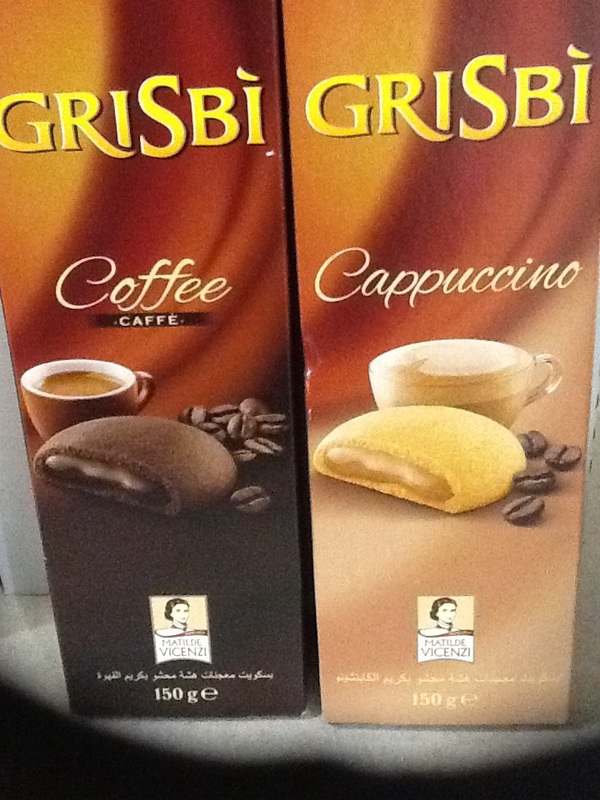 These delicate dome-shaped biscuits, with a variety of creamy fillings, coffee/espresso and cappuccino featured, but I’ve only opened one so far, the temptation to finish the entire pack is over-whelming. They are pleasantly addictive and a light alternative to dessert at the end of a meal. Buonissimi!